Media relations is beneficial for any business, no matter its size. Journalists are always looking for story ideas that will benefit their readers and media placements can help showcase your business as an expert or resource. Below are media relations tips for businesses that are looking to increase their awareness. 1) Monitor the News. By reading or watching the news, you become aware of topics that journalists like to cover. 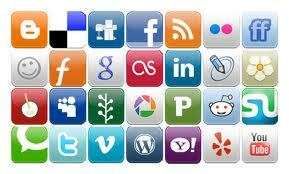 In addition, you may spot an opportunity to newsjack or insert a company opinion about a trending topic. Google Alerts allow consumers to receive news alerts based on their chosen keyword and Google Trends showcases the latest searched topics. These tools keep you proactive in finding a story to pitch. 2) Pitch a story idea based on a timely event of public interest. If you track upcoming events or holidays occurring in your community, your business may find an opportunity to pitch a relevant story idea. For example, around mid-August and early September, many back to school stories appear on the news. If your company relates to this season, you can integrate your company in a back to school story idea. 3) Be the Journalist’s Assistant. 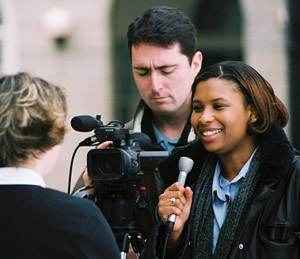 After the journalist confirms his or her interest in writing the story, assist the journalist by providing the information he or she needs and coordinating the interviews. A journalist will remember the work you put in to help the story get published. 4) Show Gratitude. Thank the journalist for the story. Let him/her know that you appreciate his or her work. Gratitude goes a long way and journalists will remember you the next time you pitch a story. Independent retailers in several countries continue to celebrate Independent Retailer Month. Also known as ‘mom and pop’ shops, independent retailers encourage consumers to shop local through various in-store and online promotions. They also educate consumers on how local shopping impacts the economy. According to the American Express Open Independent Retailer Index, nearly half of the total retail sales in the U.S. come from independent businesses. When a consumer spends a dollar at a locally owned store, it is spent six to 15 times before it leaves the community (reports the Independent Retailer Month). LVM encourages consumers and business owners to support their local businesses year round. Here are some social media marketing tips for local businesses who want to promote Independent Retailer Month. – LVM’s Favorite Independent ‘Fashion Retailer’ – Bardot in Newport Beach. Inspired by Brigitte Bardot, whose quintessential seaside style made her a fashion icon, Bardot of Newport Beach brings the latest in fun, flirty, and feminine fashion for the Bardot girl in all of us. 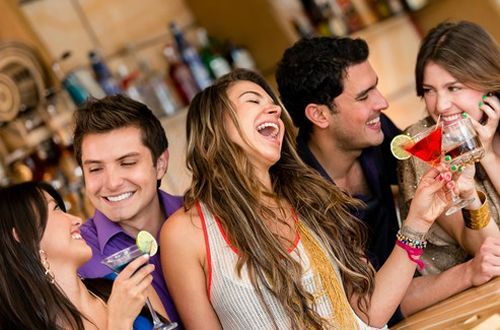 – LVM’s Favorite Independent ‘Wine Retailer’ – Hi-Time Wine Cellars in Costa Mesa. Since 1957, this boutique wine cellar has served Orange County with the best in California, French and world wines and always offers the best selection of wines from the beloved country of Argentina. – LVM’s Favorite Independent ‘Family-Owned Retailer’ – Custom Comfort Mattress in Orange. This family-owned company values the art of upholstery and designs/creates each mattress in its workshop. After a long work day, you will appreciate an ‘honest, genuine piece of American craftsmanship that affords you a good night’s sleep! – LVM’s Favorite Independent ‘Mercantile & Culinary Retailer’ – Fleur de Lys in Costa Mesa. Fleur de Lys showcases a hand picked selection of items that cater to your home and lifestyle. This is our ‘go-to’ shop for gifts for all occasions! Next time you shop, we hope you will support (or continue to support) an independent retailer in your area! Facebook announced that the World Cup has generated more than one billion interactions, making it the largest event in Facebook history. On top of this, Twitter users have sent 300 million World Cup related tweets. As World Cup fans are utilizing social media to share their favorite moments throughout the games, brands are monitoring the World Cup closely and aligning their content strategy with it. Since the World Cup is coming to an end this Sunday (sadly), we want to share our three favorite marketing moments of the World Cup. 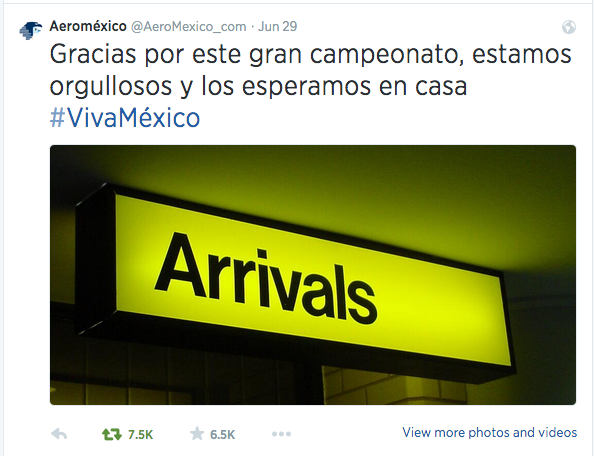 We appreciate how Aeroméxico was positive and supportive to its national team, despite its loss to Netherlands. This tweet roughly translates to, “Thanks for a great championship. We are proud and look forward to having you home.” To date, this tweet has 7.5 thousand retweets and 6.5 thousand favorites. 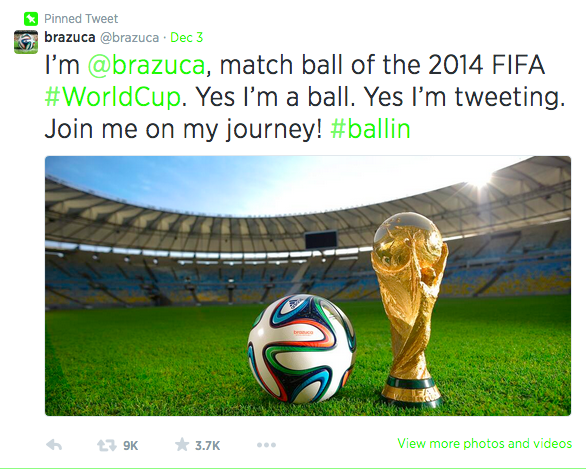 On December 3, 2013, Brazuca, the official game ball of the FIFA World Cup introduced itself with this tweet. To date, Brazuca has 2.69 million followers and has generated 546 witty tweets in English and Portuguese. He shares with his followers how #ballin he is. 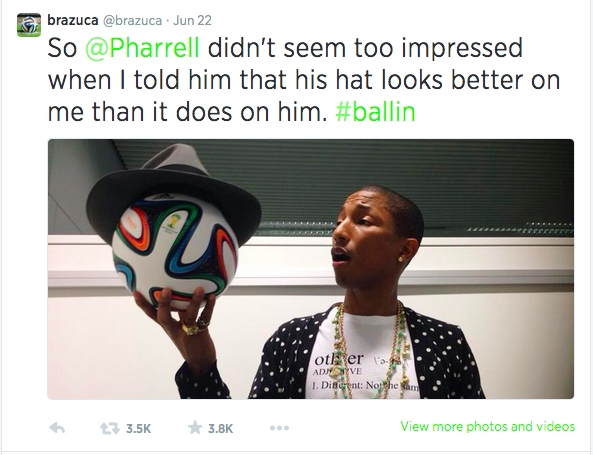 One of his tweets boasts about scoring the most goals at the World Cup; another says that he wears Pharrell’s hat better than Pharrell himself. The @brazuca Twitter handle currently has more followers than the official @Adidasfootball handle and they both utilize different campaign strategies. The @brazuca Twitter adds personality to the games and to the Adidas brand. 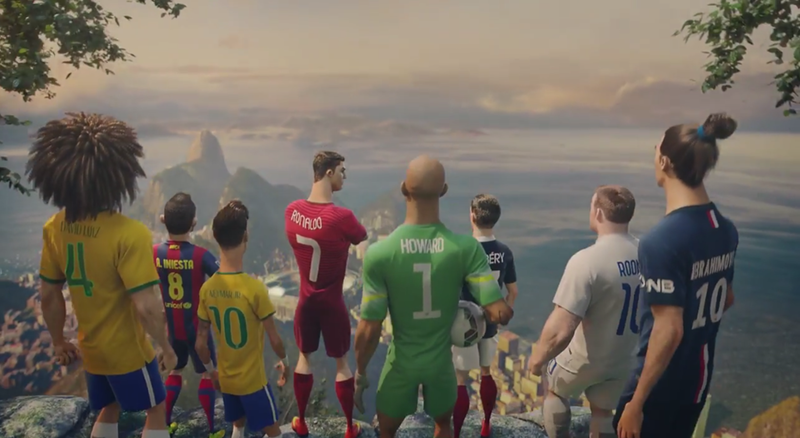 Since Adidas is the official sponsor of the World Cup games, Nike was tasked with developing a creative campaign without mentioning the World Cup. 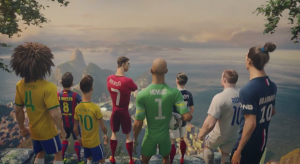 The 372 million views campaign, ‘Risk Everything’, combines the World Cup storyline, product placement and influencers in an effective and clever manner. According to Nike, this campaign has proved to be the brand’s most social and mobile campaign with 22 million campaign engagements to date. At the moment, the hashtag #riskeverything has been used 650,000 times on social media and The Last Game Facebook post is one of the most shared Facebook posts. Nike will be releasing its mobile soccer application tomorrow and users can use its ‘Risk Everything’ microsite to buy their favorite Nike gear. We wish the remaining teams the best of luck in their quest to win the World Cup. We cannot wait to engage with you on social media this Sunday during the World Cup final. LVM recently participated in a webinar, hosted by Useful Social Media (USM), focused on measuring the impact of social media for companies. Expert panelists Lutz Finger, Director of Business Analytics at Linkedin, and Jennifer Lashua, Editor in Chief at Intel, gave their expert opinions and advice regarding social performance and measurement. As proven by a poll taken at the beginning of the webinar, the majority of companies feel as though improvement to their system of measuring social impact is needed. Often times, this is because many executives don’t know what to measure. Jennifer and Lutz were in agreement that it was important to have insightful measurement, that way the company is measuring progress toward a goal. So, in order to get better results from your social performance, what should your first step be? Ask questions. It is important to ask the important questions that will allow your company to focus in on its main goal. What is important to my brand? What does my management team care about most? What does my business need?/What is our goal? What medium is most beneficial for achieving my goal? Once these questions have been answered, and your company has a clear path for accomplishing the goals set, you must collect data with the ability to understand and analyze it. The best way to conduct measurement, and preserve the consistency that is required for measurement of social performance, is to customize your method of measurement. You must determine what data is most significant for your company’s analytics. For example, Intel has a real time dashboard that is used at events to analyze specifics such as what influencers are saying, shares, overall growth of fans and followers, etc. Conducting studies of data, using topics such as consumer purchase behaviors or effectiveness of content over both short and longer periods of time, can be beneficial in order to get a better understanding of impact and a more advantageous ROI. Now that you have a better understanding of how to measure the impact of your company’s social performance, what changes can we look forward to in the coming years? In Jennifer Lashua’s expert opinon, there will be more granular content targeting, whereas in past years people have focused on the overall. She argues that soon you will be “…looking at slices of audiences and what is happening with targeted groups, and following those small groups to understand the impact of your social media to their specific audiences.” This granular analysis will be helpful to companies because it will allow them to make measurement and data analytics company-specific. 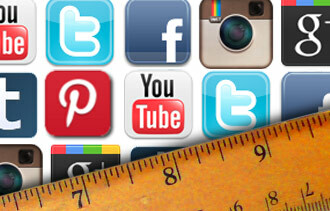 For more information on Social Media services and measurement, contact LVM here.